With forests, temples, waterfalls, mountains—Odisha is a state full of surprises. While some attractions are known for their architectural splendour, others boast of their long and rich history in this city. However, the magic of Cuttack is definitely different. Also called as the ‘Silver City’ and ‘Millennium City of Odisha’, Cuttack is one of the oldest urban cities of Odisha. Resting on the fertile delta formed by Mahanadi and Kathajodi rivers, it thrives as the commercial capital of the Odisha. But guess what; you can still travel to Cuttack to explore contemporary Odisha with a touch of modernity. Cuttack Tourism lets you indulge in historical sightseeing, watching the famed Olive Ridley Sea Turtles as well as fun activities like boating and water scootering. Shopping of silver ware is an indispensable part of Cuttack tour as the city flaunts artistic and elegant silver ornaments and is lauded for its fine silver filigree work. The history of Cuttack suggests that it was established as a military cantonment by King Nrupa Keshari in 989 AD. It has also been ruled by Ganga dynasty, Marathas, Mughals and finally the British. 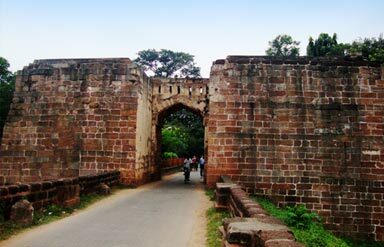 In fact, it served as the capital of Odisha till 1948. Dahi Vada and Dum Aloo is a must for every tourist’s itinerary who visits this destination. This is a famous street food with a spicy combination of curd-soaked vada, potato served with a delicious chickpea curry. This is a 14th century fort built by the rulers of Ganga dynasty. Standing on the western side of the city, the building once housed a 9-storied palace. The moat of the construction, locally called as Gadakhai is its most striking feature. 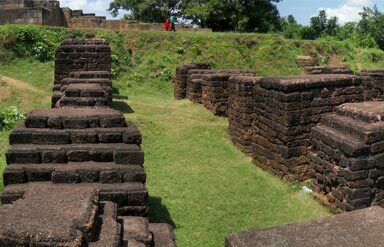 Archaeological excavations reveal that the monument was made of laterite and sandstone. Today the interior of the fort has been converted into a stadium with a seating capacity of nearly 30,000 people at one time. The stadium has served as the venue for many important sports and cultural events. This is a beautiful shrine left by the Muslim rulers of the city. This stunning monument was built by Shujauddin Khan. It preserves the footprint of the Prophet and is worshipped by a large number of pilgrims every day. The dome of the shrine is adorned with a golden spire making it look gorgeous, especially during sunset. This museum is basically the ancestral abode of Netaji Subhas Chandra Bose, the great freedom fighter of India. 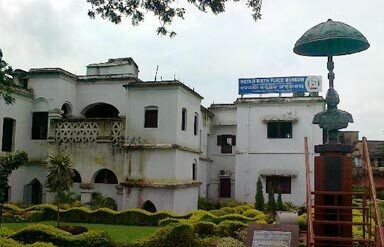 The site is also called as Janakinath Bhawan named after Janakinath, the father of Netaji. It is 2-storied L-shaped building with a small temple in its backyard. Netaji used to live here along with his 14 siblings. A big stable stands on one end of the building while a small temple is located towards the rear. The living room of the house displays photos of Netaji and his family members. A part of the museum is devoted to exhibit the old household furniture used by the family earlier. The library houses important documents, books and 22 original letters written by Netaji. Light and sound show has been recently launched in the museum. Bhubaneswar (28km), Chhatia (30km), Chandhikol (40km), Ansupa (70km) and Paradeep (94km) are some of the nearby getaways to explore. Silverware, filigree work, silk and cotton fabrics along with lacquer-ware are some of the popular items included in Cuttack Travel Guide. Tourists can also buy beautiful lampshades made of cotton fabric, easily available in the local markets. These lampshades are available in various colours, shapes and designs. September-March is the best time to visit when the weather is cool and ideal for sightseeing. 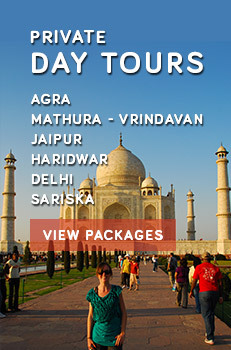 Tourists can also plan their trip during Dussehra (September-October) which is the major festival of the city. Air: The nearest airport is in Bhubaneswar, about 28km away from the destination. Rail: Cuttack junction lies on the Kolkata-Chennai main line and therefore, receives trains from several major Indian cities. Road: Buses ply regularly from Kolkata for the destination. Tourists can hire cab or taxi to get around the city. So, be it for colourful Durga Puja vacations, a short rendezvous with history or just silver-shopping, you must book your trip to Cuttack this season, at any cost.